This colorful arrangement is perfect for brightening anyone's day. 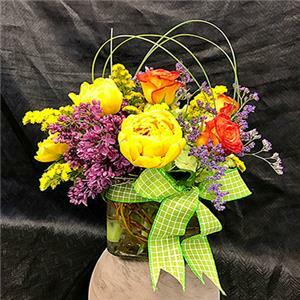 Made from beautiful and fresh tulips and elegant lilac. Have someone you would like to thank this administrative week? This bouquet is the best way to show them how much you appreciate them.